To coincide with the release of Drop Target #6, Rob McClurg over at creditdotpinball.com just posted a lengthy email interview that he conducted with Jon and myself. We were both impressed with Rob's deep, thoughtful questions. So if you've ever wanted to know more about how Jon and I put together Drop Target, or how we're feeling about pinball these days, pour yourself a cup of tea and go give it a read! 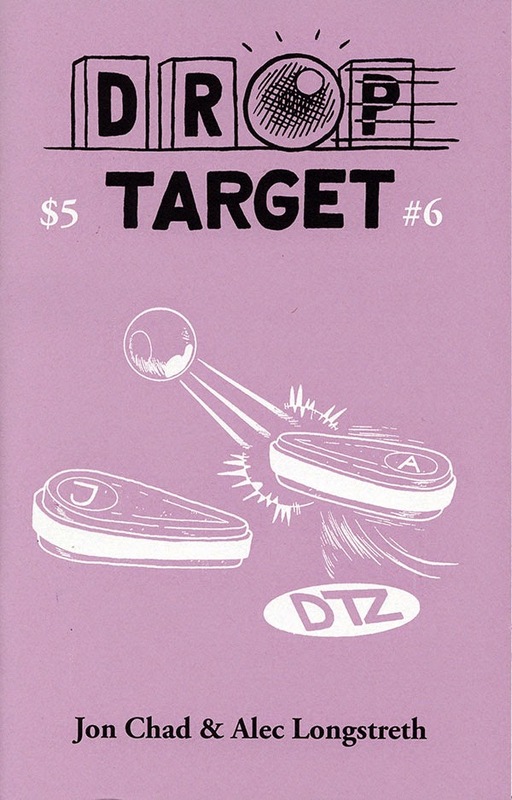 Drop Target #6 is now available for ordering! I want to do a post about how this issue came together recently in Vermont, but I suspect I'm going to be busy for a week or so, filling orders. Jon and I are both really excited to share this issue with everyone! Good news! Jon (who now lives in Northampton, Massachusetts) and I (who now live in Alameda, California) are meeting next week in White River Junction, Vermont with one, sole purpose... TO FINISH DROP TARGET #6!!! 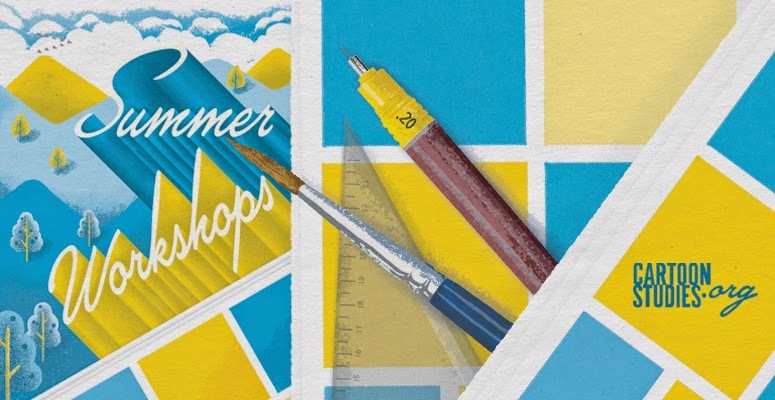 Well, okay, technically we have TWO purposes, the first being to teach the Cartooning Studio workshop at The Center for Cartoon Studies. But at night, when we are done with our teaching duties, we will be finalizing the layout, printing and binding the books using the famed CCS production lab (where we have created all of the first printings of Drop Target). All the pieces are quickly coming together as we get closer to the deadline, and it's shaping up to be a great issue! We're really excited to share it with everyone, especially after the long wait. Thanks for your patience, and we'll post some process pictures on the blog next week as it all starts to wrap up. More soon!